This winter you know you need to prep your skin a little more than usual to combat the dry chills. Dry skin is the one main concern you’ve got. But unfortunately, that’s not just it and using a moisturiser or a cold cream alone is not enough to protect your skin. You’ll need sunscreen too. Yes, that’s true. You have to apply sunscreen in winter as well. Why? Because the sun’s rays are hitting your skin just as strong in winter no matter what the cloudy skies tell you. While the temperatures are definitely lower during winters, your skin is exposed to not just the dry weather but also harmful UV rays. The sun’s rays are weaker during winter and hence, while you may not get tanned as much, your skin will definitely ag when exposed to the sun. Let’s get into some of the science behind the sun’s rays. There are 2 types of rays emitted from the sun: The UVA rays and the UVB rays. In winter, the UVB rays are weak. But it is the UVA rays that affect the skin, causing lines and wrinkles. Also when you go for those wonderful mountain hikes and treks, it is important to remember that at higher altitudes exposure to the sun is much greater. Sunscreen with a strong SPF is ideal for protecting the skin against the sun throughout the year. It prevents not only tanning but also damage of skin cells, lines, wrinkles or ageing of the skin. Let’s look at some skin care tips for this winter to protect and nourish your skin. - Avoid taking a long shower or soaking for too long in the bathtub. While it is tempting to take a long, hot shower in winters, this will only dehydrate your skin further. - Use cleansers that do not have fragrances and are gentle on the skin. Fragrances may aggravate your already dry skin and make it itchy, which is the last thing you need in winter. - Your skin care routine must have a cream based moisturizer for your body and your hands. Apply it frequently. - Avoid products which contain alcohol and fragrances. - Take care of your lips too. Chapped lips are the signs of the winter’s onset. Use petroleum jelly or a good long-lasting lip balm. 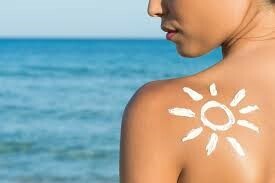 - Use a sunscreen with SPF on all exposed parts of your body. Remember, that even exposure to the light from your computer screen, gadgets and lights affect your skin. It’s not just the sun. It is important to pick products that take care of your skin problems and do not contain harmful ingredients. Kaya Skin Care has a range of products that provide your skin the nourishment and moisture it needs. They have a product for your every skincare need. The Everyday Cleansing Wipes enriched with aloe vera extracts nourish and refresh your skin, while gently cleansing it and removing oil and dirt. It can be used for removing makeup and is mild on the skin. It is made of non-woven fabric. If you’re looking for a cream that is ideal for all-day use, then Kaya’s Anytime Moisturising Cream is perfect for you. This light cream with kokum and shea butter moisturises your skin and keeps it soft and supple all day long. It prevents loss of hydration and can be used at day and night. It nourishes the skin and locks in the moisture. For protection against the sun, Kaya’s Daily Use Sunscreen with SPF 30 brightens the skin tone and removes tan. It shields the skin against UVA and UVB rays. It has a lightweight, non-greasy formula and is free from parabens. The Intense Hydration Body Lotion offered by Kaya Clinic is ideal for protecting your skin against the harsh winters. Enriched with shea and kokum butter it keeps the skin fully moisturised for upto 24 hours. It gets easily absorbed into the skin and provides nourishment to the skin cells, making the skin smooth, soft and healthy. Once you apply this lotion on your skin, it does not require frequent re-application. Your skin needs nourishment and care just like any other part of your body. For healthy skin, simple and non-toxic products with natural ingredients are essential. Kaya gives you just that with the indulgence you deserve for healthy, glowing skin. Permanent Hair Loss Isn’t So Permanent!